Chalke Valley History Festival near Salisbury is Britain’s biggest festival devoted entirely to history. The 2012venue is the second such festival to be held in a 22 acre field set amongst the gentle downs of the Chalke Valley, surely one of the most beautiful landscapes in Britain, 12 miles south-west of Salisbury. 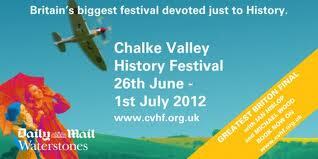 The Chalke Valley History Festival is in its second year now & really getting into its stride. The festival is being held just outside Ebbesbourne Wake, one of the villages within the Wilton Community Area. As well as literary talks covering an amazing variety of topics & periods in history, there are also other activities to get involved in. Among the impressive line-up of speakers at the festival, there are many household names such as Sir Max Hastings, Amanda Vickery, Jeremy Paxman, Michael Morpurgo, Ian and Victoria Hislop, Tom Holland, Dan Snow and Michael Wood. 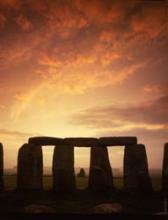 Another good reason to visit Wiltshire…………………..